Hi I’m Fred owner of Fred’s Auto Care, my hobby and my passion for cars has lead me to a corresponding career path. I believe all vehicles deserve to be serviced and maintained by a good machine, come visit me at my shop and you will see my passion for cars. 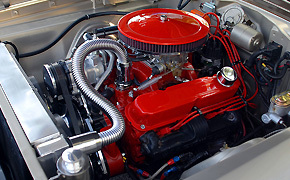 I have been mechanic for countless years, my experience and knowledge shows in all my work. Fred’s auto care was formerly known as “Muffler Town”, we have been providing our community with one stop shop for the highest quality auto service and repair since 1995. We also specialize in mufflers and catalytic converters. Come give us a chance to impress you with our service! Fred’s Auto Care and Muffler offers a wide range of products and services from Performance to factory stock, which includes full service auto repair, including Mechanic work, Tune ups, Oil Change, Brake, Suspension, Mufflers, Catalytic Converters, and Exhaust Tips.